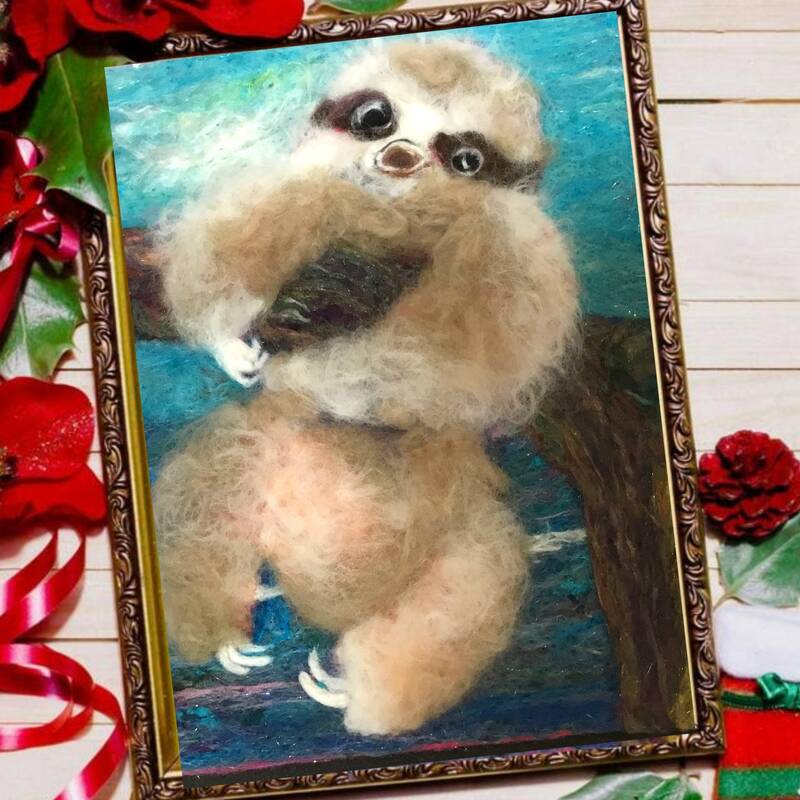 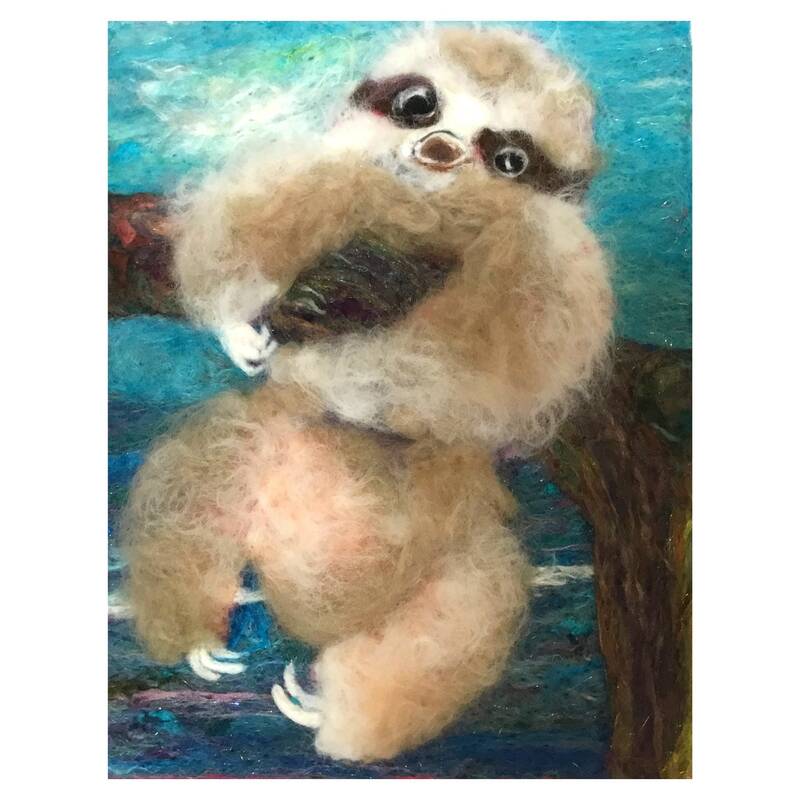 This adorable baby sloth picture is needle felted by hand in a soft taupe colour and white Australian merino wool. 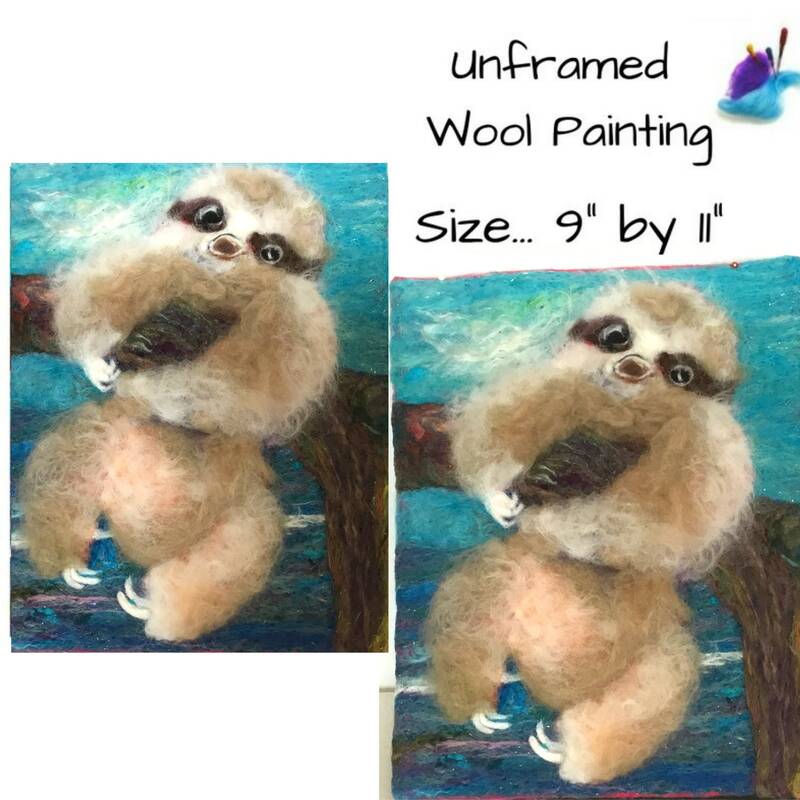 This is on a background of pretty art wool ranging from a soft aqua to a dark teal colour. 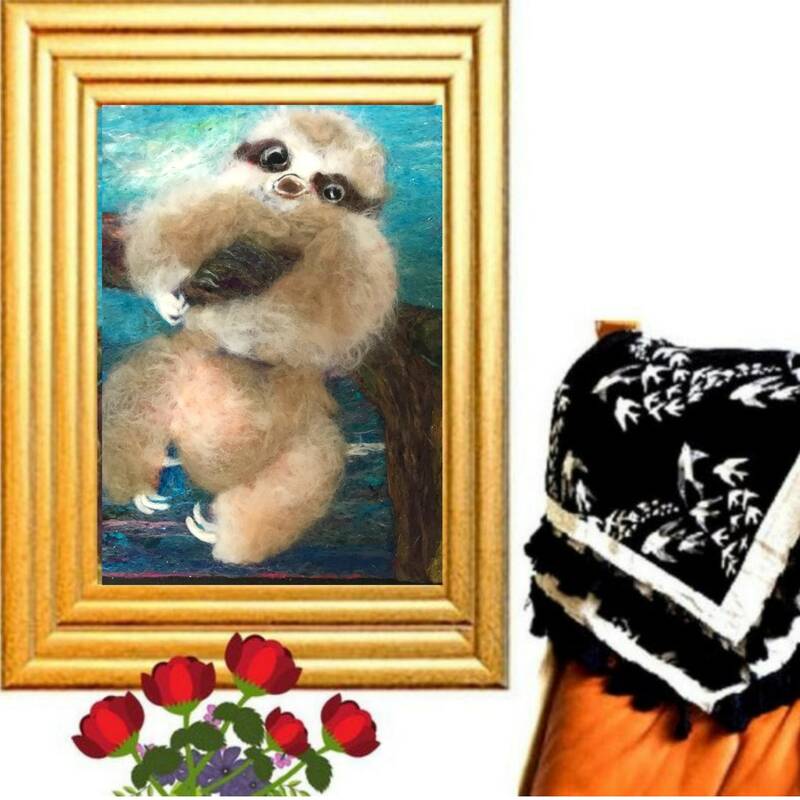 The art wool contains many different fibres of silks, and Angelina sparkling lurex. 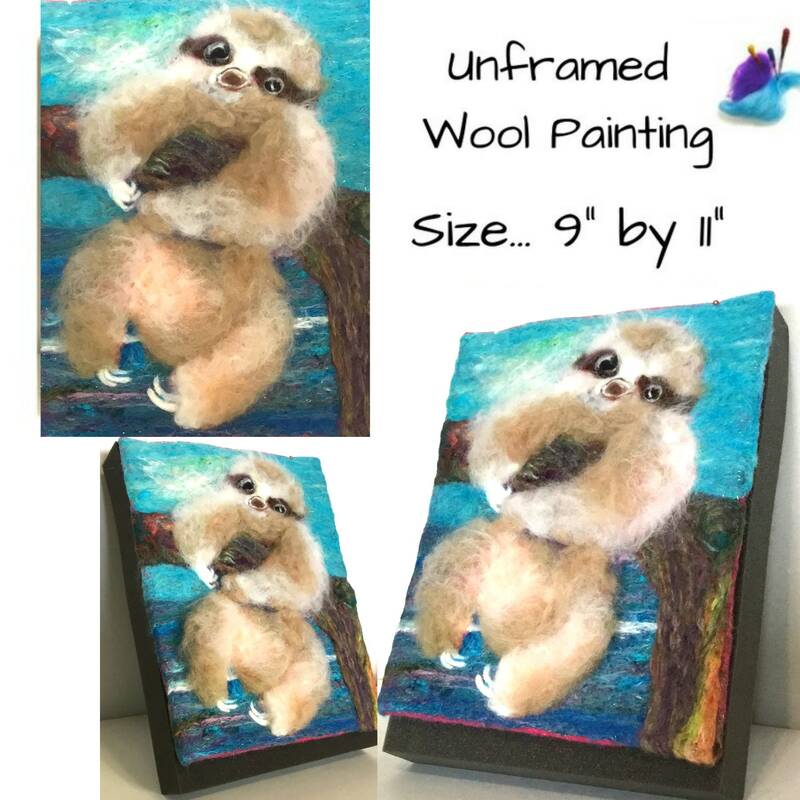 This unique 3D wool painting is soft and fluffy and would enhance most decor with it's lovely soft colours. 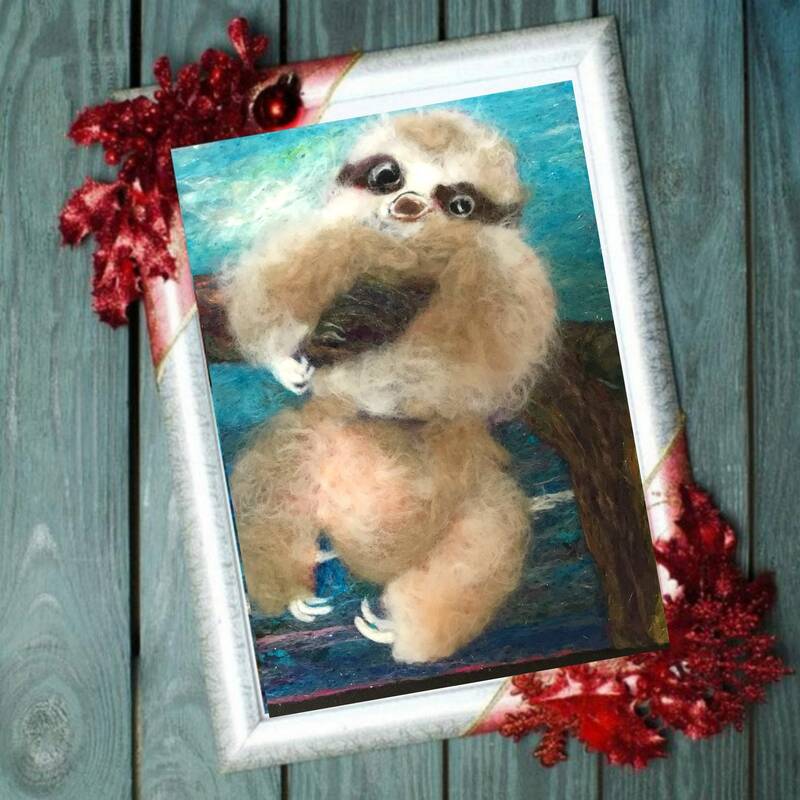 The size is 11" by 8.5"
The sloth’s nature allows it to conserve energy, moving slower than any other mammal on the planet. 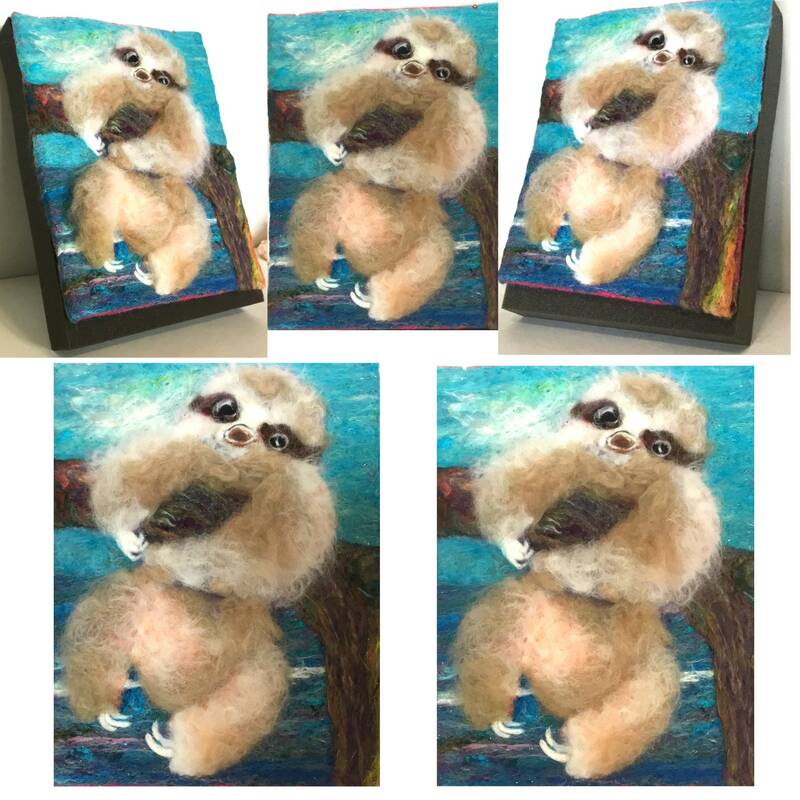 This wool painting is unframed and can be hung without any frame, or JUST with a frame. 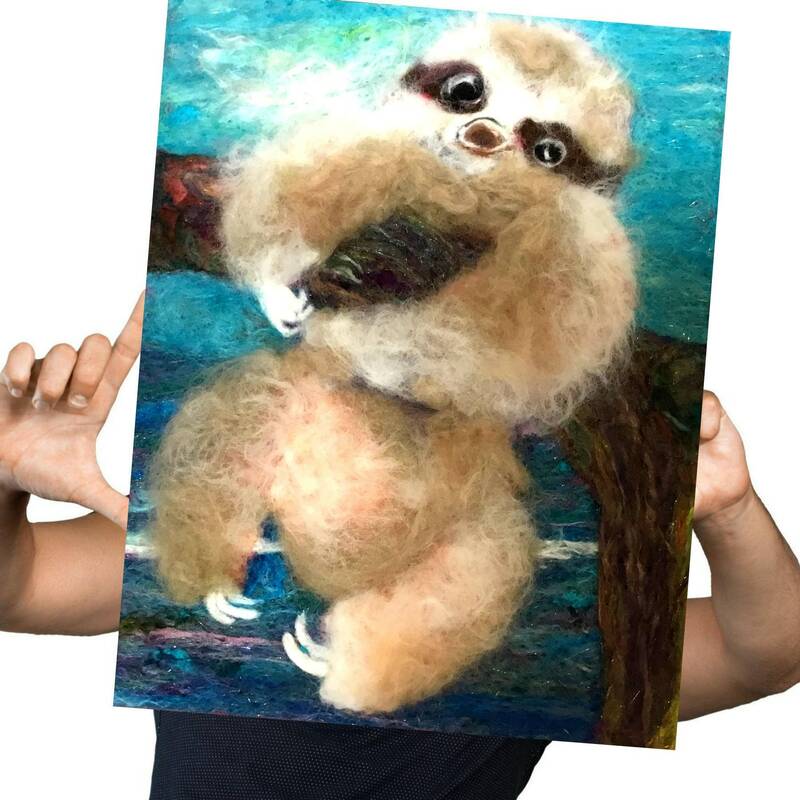 No glass is needed over the top because it is 3D and you can feel the softness, textures and see the brilliant colours! 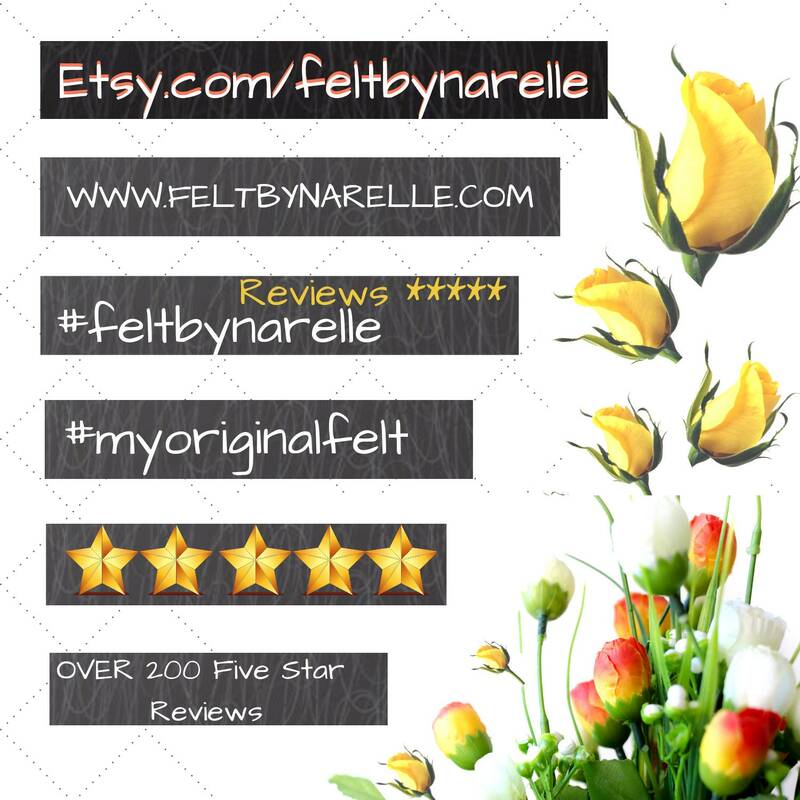 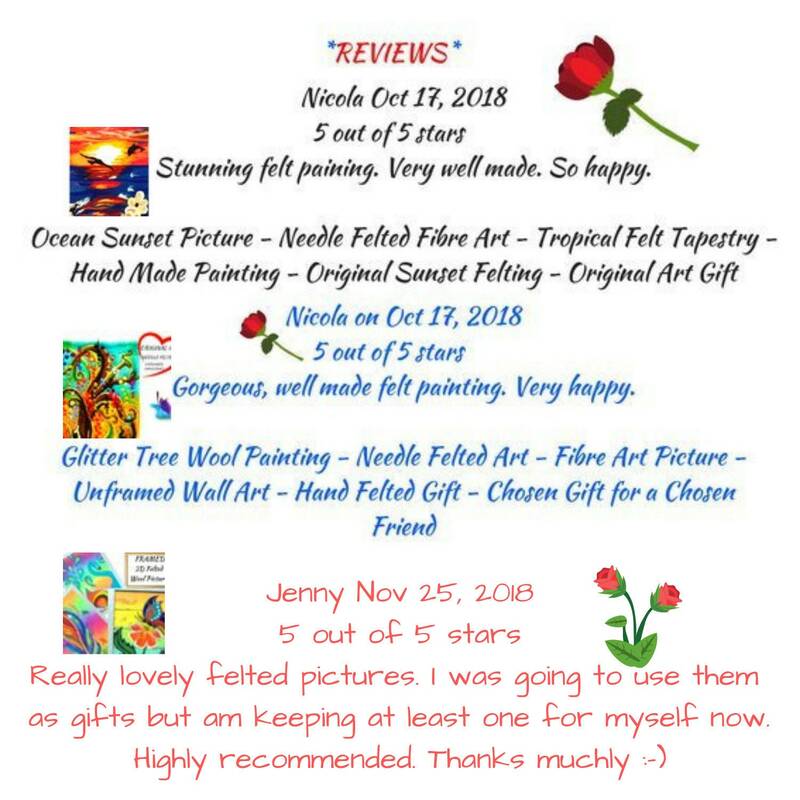 I have had very happy reviews of my work, they are uniquely different, great prices for original art work, lovely to hand down to your family, and absolutely one of a kind...what better than to give an ORIGINAL Art GIFT!